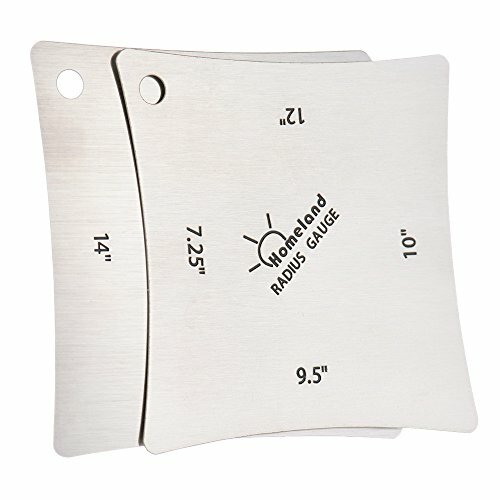 Stainless Steel Guitar fingerboard radius gauges. One gauge has 7.25", 9.5", 10", and 12". The second has 14", 15", 16", and 20". Set of 2 pcs Measuring Tool.